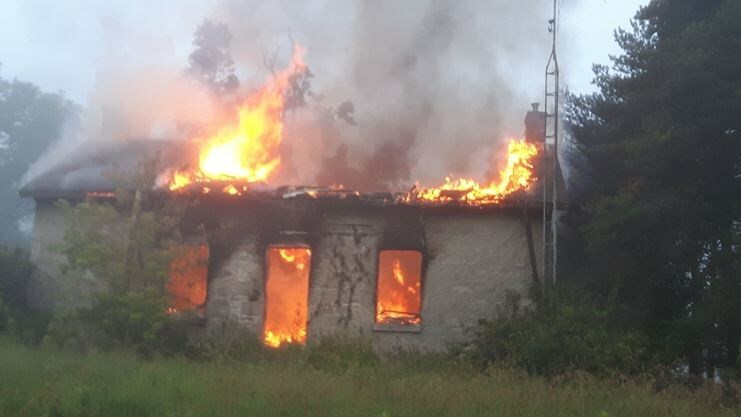 Halton Regional Police are investigating after a vacant rural home went up in flames Tuesday morning (July 11) in Nassagaweya. The Milton Fire Department responded to the blaze shortly after 6 a.m. on Guelph Line, north of 25 Sideroad. Milton Fire and Halton Regional Police remained on scene throughout the morning to investigate the blaze, which Pratt said he suspects is tied to the other suspicious fires that have plagued the surrounding rural area since last year. The hunt continues for the arsonist responsible for more than a dozen suspicious fires that have been set primarily in the townships of Puslinch and Guelph-Eramosa over the past year. The last incident took place on June 25, when two abandoned buildings in the same area of the Town of Erin were set ablaze. If you know or suspect ANYTHING please call crime stoppers at 1-800-222-TIPS before someone gets hurt.